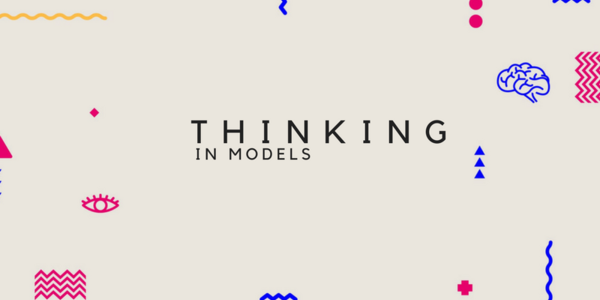 I’m absolutely delighted to announce that my new thinking principles course, Thinking in Models is open for enrolment. Join a community of people on a mission to think clearly, work better, solve problems at multiple levels of depth, and make complex decisions with confidence! As a gift to all Postanly subscribers, if you enroll in the next 48 hours, you get 20% off. Just use the coupon TIM20 at checkout! Click here for details. Come join us! “Daring ideas are like chessmen moved forward: they may be beaten, but they may start a winning game.” — Goethe. Play with me for a while and I promise that you’ll have a better understanding of this article.If you’ve seen the illusion below, you are free to scroll down and read the rest..
One of my mottos in life is to “feel the fear and do it anyway.” On the whole, it has served me pretty well. It pushed me through big life changes, and it has helped me calm my nerves with daily stresses. But even with experience of “confronting” fear, I still worry. A lot. This is a great question. I’m going to go through this as slowly as I possibly can, in simple language. For some readers, this might be overly fundamental and boring, but I’m trying here to not lose anyone who might be curious about saving for retirement but doesn’t know where to start.